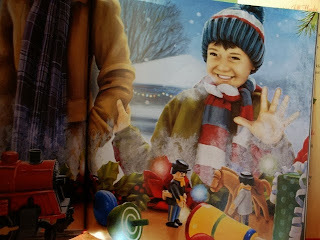 Sam is so excited about Christmas! He's thinking about his Christmas list, anticipating holiday parties, and puzzling over one very mysterious gift -- a sparkly box sitting on the mantel above the fireplace. In the midst of the festivities, Sam and his family participate in various acts of kindness to others. On Christmas morning, when Sam finally opens the Sparkle Box, he finds only slips of paper that record the family's good deeds. Sam's parents explain that the things that they've been doing for others are, in fact, a gift for Jesus -- for Jesus said that whatever we do for the least of these, we do for Him. This heartfelt story will inspire readers to adopt this faith-centered tradition in their own homes. Beautifully illustrated by talented Christine Kornacki (Remember The First Christmas Night?) The Sparkle Box is a marvelous story to teach little ones (and old ones) the true meaning of Christmas! In this heartfelt message storyteller Jill Hardie brings us a delightful story sure to become a tradition in this upcoming Holiday Season. Beginning with the message: "You are the light of the world -- Make it sparkle! ", this book includes a pop up sparkle box for young readers to fill in with little slips of papers highlighting their 'gifts' as they share with others in His name! The unfolding story focuses on random acts of kindness, what we can give instead of what we receive thus allowing even the smallest child of understanding the joy involved in helping others. Be ready though for a lot of questions arising from the story such as being homeless and hungry. Each unique illustration and the accompanying wording will bring a new subject to discuss with your family! A book to treasure and rediscover year after year! 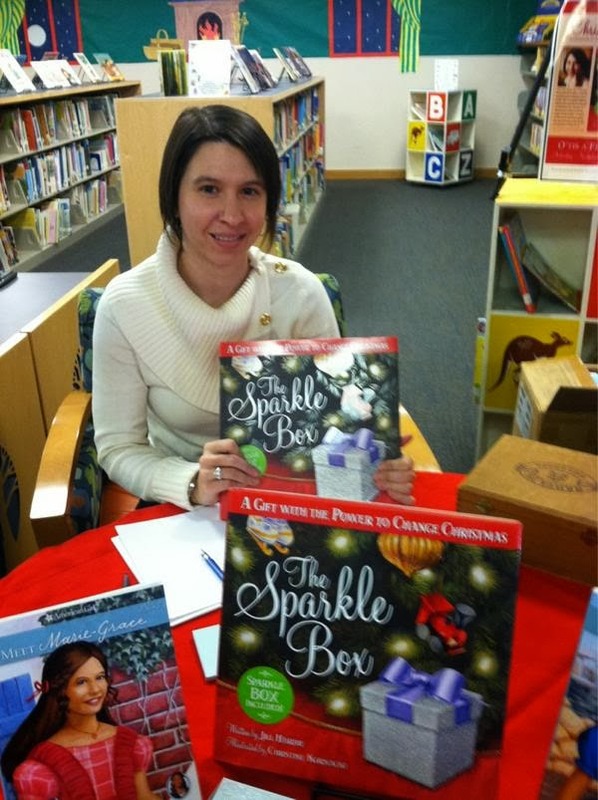 Jill Hardie is a writer and marketing professional with a great deal of enthusiasm for the Sparkle Box concept. 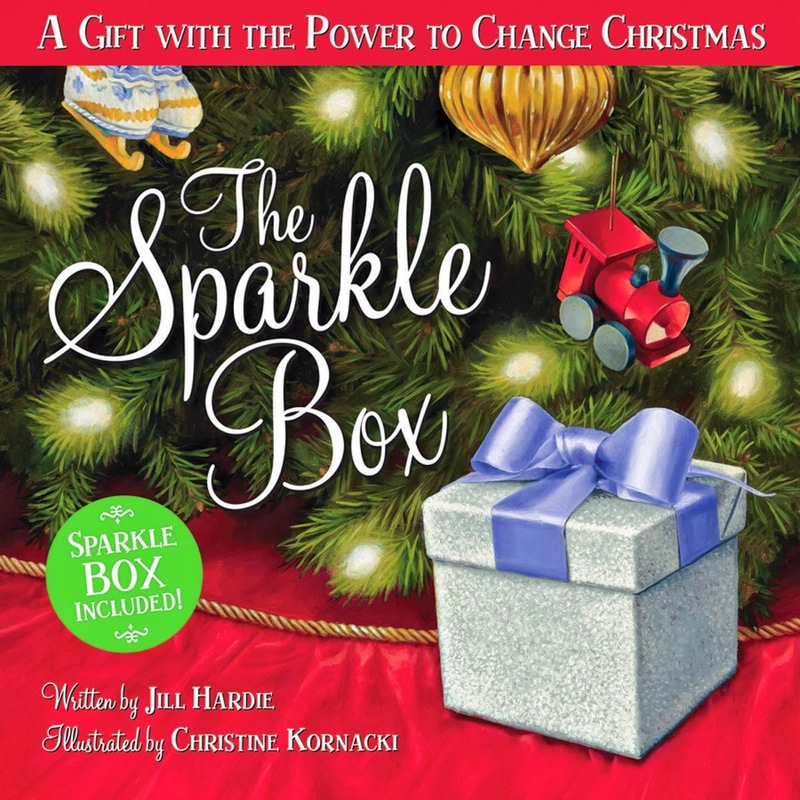 Jill's family started their tradition of giving a gift to Jesus about six years ago; now, the Sparkle Box is the gift they most anticipate opening each year. 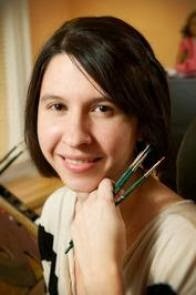 Inspired by painters such as Norman Rockwell and Maxfield Parrish, illustrator Christine Kornacki was classically trained as a realistic oil painter. She spends her days painting in her studio, which adjoins a charming cafe. I would love to give a copy of this beautiful story to one lucky winner just in time for Christmas! 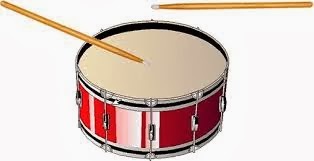 Simply place a comment on this post and I will add your name in the hat! (No need to follow, 'like me', be on Facebook or Twitter...) Giving should never come with conditions! Giveaway open till 6 December 2013 (I chose SinterKlaas, what better day?!) until Midnight! Giveaway opened to USA/CANADA only, apologies! This review was not requested and reflects my opinion only! The story of Jesus is the greatest story of all time. But the repetition and varying order of events in the Gospels can be confusing to readers. As he does in his bestselling book The Whole Bible Story, Dr. William Marty presents the full narrative of Jesus in chronological order. He tells the fascinating account of everything that happened in Jesus' life--from his birth to his ascension--as well as what happened in the church after he left. The Jesus Story is perfect for new Christians longing to get to know Jesus or long-time believers wanting to recapture the awe and amazement of hearing this remarkable story for the first time. Dr. Marty brings his considerable teaching expertise as well as his extensive knowledge in this little treasure of a book! 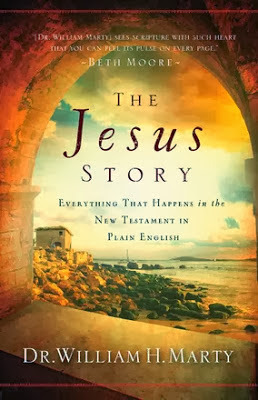 At only 160 pages and easily formatted for the whole family, each chapter of The Jesus Story highlights main characters and setting of each event from the New Testament unto Acts in chronological order, beginning with Jesus' birth until after the Ascension. Dr.Marty goes on to describe Teaching and Healing, Facing Opposition, Expanding the Ministry, Complaints and Miracles, 'Who am I?" followed by Jesus predicts his death and resurrection and a final summary. A compelling resource for any Christian, this book gives even parents of small children the opportunity to answer any question about Jesus. Inspiring, even emotionally provoking, it ultimately remind readers the more prepared we are, the better to face life's ups and downs. Well worth 5 stars, a great family reading resource and an absolute must for any pastor's library! 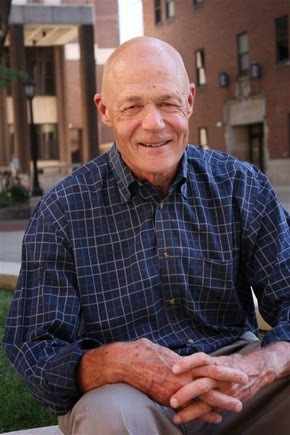 Dr. William H. Marty (ThD, Dallas Theological Seminary) is Professor of Bible at Moody Bible Institute and has published two textbooks, Surveying the New Testament and Survey of the Old Testament. He is unique among Bible college professors in that he teaches and writes on both the New and Old Testaments. I received a copy of this title from BETHANY HOUSE PUBLISHERS/CHOSEN to review . I am disclosing this in accordance with the FTC 16 CFR, Part 255 'Guides concerning the use of endorsements and testimonials in advertising. I was not asked to write a positive review and all opinions expressed are entirely my own. 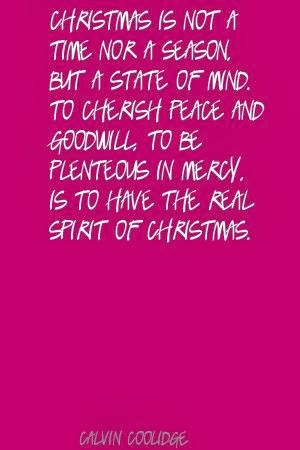 Have a Christmas to remember with these fabulous suggestions for decorating, baking, wrapping, and all things holiday! 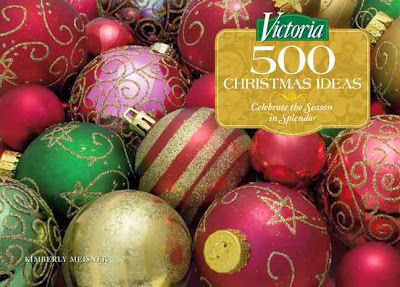 Brimming with beautiful color photographs, Victoria 500 Christmas Ideas provides the inspiration and instruction needed to surround yourself and your family with the beauty of the season. Create a winter wonderland in your front yard or an intimate table setting that sparkles. Bake delicious cookies good enough to leave for Santa himself. 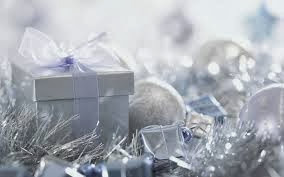 Load the Christmas tree with lovely decorations and uniquely wrapped gifts boxes. Display a handmade wreath on the door to welcome your guests. Many projects take only moments, while others need a little more time and attention. 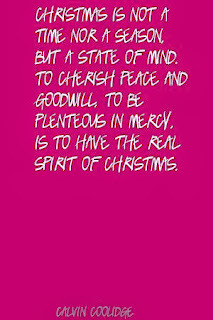 Either way, Victoria will bring the best of Christmas to your home. I always browse the latest offerings on the library shelves and this beautifully formatted book immediately caught my attention. Psst...Don't tell anyone! I love to find my Victoria subscription in the post and keep it all to myself for days! This however was the first of their special edition books I have seen and I wanted to immerse myself in the Season by checking out other's ideas! There is definitively something for everyone in Victoria's 500 Christmas Ideas by author Kimberley Meisner! A little like window shopping around the holidays, this one is to be savoured like a box of chocolates! Each stunning photo will bring a special way to celebrate the season in splendour! No matter where you 'hang your hat' as they say in the West, you will discover all sorts of ideas, 500 to be exact, to prepare your home for the upcoming holiday season, be it a Grecian columned mansion, a city apartment or a log cabin. In addition to ready your home and wrap thoughtful gifts you will find well tried recipes guaranteed to delight your family and guests! Note: This was a library loan. No review was requested and any opinion reflected is mine only! Available as of 19th November, 2013. The Movie that began one of the first Television Series inspired by Janette Oke's novel! When Calls the Heart, directed by Michael Landon Jr. and based on the best-selling books by Janette Oke, tells the story of a young high society teacher receiving her first classroom post in a prairie town in the Western Frontier. Determined to prove to her family that she is brave enough to live on her own, Elizabeth (Poppy Drayton) struggles with her own fears and doubts until she discovers her late Aunt's diary. Her aunt (Maggie Grace), also named Elizabeth, had set off on a similar adventure as a teacher into the frontier, where she struggled with prairie life and eventually met and fell in love with a Royal Canadian Mountie (Stephen Amell). 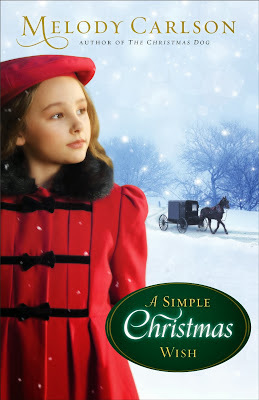 Reading her aunt’s words, the young Elizabeth decides to put her future in God’s hands and embark on her own adventure where she uses the diary as her guide as well as Edward, another Mountie (Daniel Sharman), sworn to see her arrive. Note: When Calls the Heart debuted on the Hallmark Channel to more than 3.2 million viewers, making it the No. 1 movie of the week on ad-supported cable. Distributed by Word Entertainment, the DVD is now available to purchase in Christian Retail. At the turn of the century aspiring teacher Elizabeth Thatcher is anxiously seeking a position which will prove to her family she can indeed take care of herself. A Society girl, she dreads leaving the comforts of home but when the opportunity to teach in Coal City comes up, she embraces the challenge. An old diary written by her father's younger sister and her namesake fuels Elizabeth's imagination and she is determined to discover a whole new life out west for herself. Fearing for their daughter, her parents seek the help of a family friend, now a Mountie, to chaperon her whilst she travels to her destination. What happens then is just the sort of adventure Elizabeth is seeking and the realization of what it entails, exceeds her wildest dreams! Based on the novel written by Janette Oke, When Calls The Heart reflects the family entertainment we have learned to expect from Director Michael Landon Jr.
With stunning scenery and even more beautifully detailed costumes, this sweet story gives you the opportunity to treat your loved ones to a great Christian movie with a wonderful message! One girl in need of a home. One woman in search of a home for her heart. One Christmas where it all seems possible. 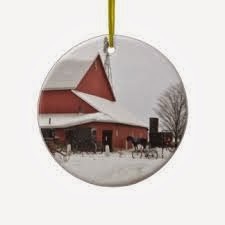 For those of you familiar with The Christmas Pony Melody Carlson's latest Christmas story brings once again a wholesome offering for the Season! There is something gratifying in holding Melody's novels, each cover beautifully illustrated and featuring raised letters, the synopsis an indication this is just the sort of novel you can and will share in all probability with everyone! She writes with her heart like any good storyteller! A stirring tale of a small child who loses both parents to a tragedy during the Christmas season only to find out the aunt who is taking care of her must give her up to a whole unknown branch of the family! There has been many stories written about the Amish but this has a twist! How far will someone go to keep someone they love? Melody Carlson weaves a touching story of hope and love mingled with despair and even anger, drawn against the plain Amish world. You'll enjoy this one tucked in by the fire with a cuppa! Melody Carlson has written around 200 books for teens, women and children. That's a lot of books, but mostly she considers herself a "storyteller." 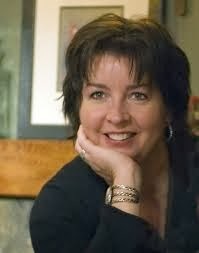 Her books range from serious issues like schizophrenia (Finding Alice) to lighter topics like house-flipping (A Mile in My Flip-Flops) but most of the inspiration behind her fiction comes right out of real life. Her young adult novels (Diary of a Teenage Girl, True Colors etc.) appeal to teenage girls around the world. Her annual Christmas novellas become more popular each year. She's won a number of awards (including the Rita and Gold Medallion) and some of her books have been optioned for film/TV. 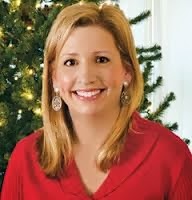 Carlson has two grown sons and makes her home in the Pacific Northwest with her husband and yellow Lab dog. I received a copy of this title from BAKER/REVELL to review . I am disclosing this in accordance with the FTC 16 CFR, Part 255 'Guides concerning the use of endorsements and testimonials in advertising. I was not asked to write a positive review and all opinions expressed are entirely my own. Thank you for a great giveaway! I'd like to win this for my kids to watch. I will contact you shortly by email to confirm and request mailing address! 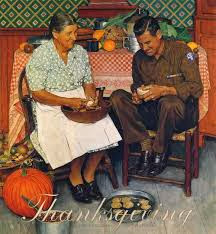 Thank you for entering and all the best to you and yours for a warm Thanksgiving! 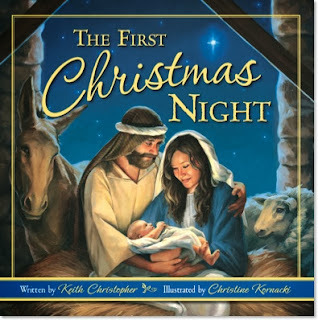 The First Christmas Night is a beautiful retelling of the birth of Jesus on that joyous night in Bethlehem so long ago. The poem begins with the arrival of Mary and Joseph in Bethlehem and winds though Christ’s birth, the angels’ appearance to the shepherds, and the visit by the Wise Men. The outstanding collaboration of author Keith Christopher and illustrator Christine Kornacki has produced one of the best books of the year! This one is a keeper Folks, and sure to delight children and parents everywhere! Not unlike the well known poem 'Twas the Night before Christmas' written by Clement Clarke Moore, The First Christmas Night brings us all the warmth of the Season by reminding us of that first Christmas long ago. 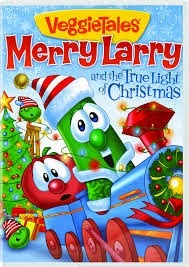 What better way to introduce children to the real Christmas than retelling them this 2000 year old story? This large 32 page hardback copy is simply stunning with its illustrations and the journey of Mary and Joseph and the birth of our Saviour as told in this version, will remain with little ones as one of the most beautiful story ever told! Included at the end of the book is the biblical story of the First Christmas as written in Luke's Gospel, 2:1, 4-16, 20 and Matthew 2:1-2, 9B-11 for an excellent reference! Note to Readers: # 3 on my list of Christmas gifts list! 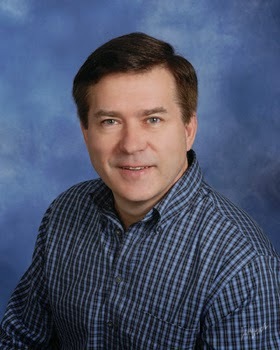 Keith Christopher is a composer, arranger, orchestrator, and educator, and he has served as editor and producer for several major music publishers. In addition to writing and studio producing, Keith is on the faculty at the Blair School of Music of Vanderbilt University in Nashville. Thanks to the generosity of the author/illustrator and FLYBY PROMOTIONS I have a wonderful opportunity for one lucky reader to get their own copy! Giveaway open to USA and Canada only. Dateline to enter: 23 November 2013 at midnight! 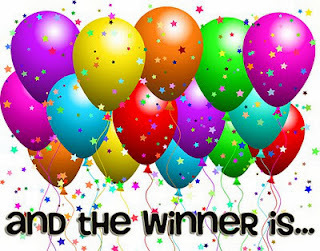 Winner chosen by Random.org and Winner's name posted on this blog. A confirmation will be send via email. This is a wonderful book you will want to share with others so be sure to enter!! Remember the post about TIME FOR REFLECTIONS' offer to give 100 Sterling Pounds to an international charitable organization? Many thanks for sharing with us Victor and God Bless!